2014 marks the 30th anniversary of Redford’s film festival in Utah’s light-strung little mining town. For 10 days straight, Los Angeles floods historic Main Street below the resort’s snow cats and ski lifts. With 11 cinemas in the Park City area alone reeling around 100 films, documentaries, and feature premieres, the curious converging-arts poet finds a world of spinning image, story, and mood abound. “The Industry” has landed. So what kinds of poetry happen here? I’m writing from Java Cow, a café and ice cream parlor blasting Dub Step and sporting all number of plaid pajama pants and tie-dye t-shirts promoting the café’s mascot heifer. In line for tea we meet the likes of a be-scarved composer who hands out his USB drive in place of a business card if you mention how you too are in “The Industry.” Seeking a warm place to write out of the frosty festival streets, somewhere beyond our hotel room that has devolved into something of a rodent’s habitat over the past 8 days, I report to you from Sundance, as a poet on a film festival quest, or perhaps as film festival on a poet quest. Last night we watched World Documentary competitor “Mr leos caraX” (Tessa Louise-Salomé), which I chose specifically because the festival film-guide mentioned “the poetic and visionary world of a mysterious, solitary filmmaker […] a cult figure from his very first film,” in a “fine-tuned exploration of the poetic and visionary world of Leos Carax.” Two adjectives for poetry in less than 50 words? I’m curious. What is “poetic” to the film industry? Could it have to do with music and movement? A certain mood or pacing? Would it prefer an image-focused over narrative-dramatic structure? Did the reviewer simply use this word in place of “enigmatic” or “bizarre,” as many find poetry to be? Seventy-five minutes after the theatre darkened — a period of time indeed strangely spent probing the myths and hallmarks of a filmmaker who pushed his actors to starve, take up martial arts, stop speaking for a month, learn to tap dance, and show up for shoots in which no one had a clue what they were to say or do — we found ourselves walking in the dark, star-sparked night back to the parked car, speechless. What was that? The “poetic” claim haunted me throughout the film’s numerous interviews with Carax’s actors and affiliates, who were often super-imposed with footage from his films as they spoke. In this way, the cinematography itself was “poetic,” mirroring its “poetic” subject, Mr. Carax and his film legacy, in that it showed a layering effect that embodied the ripple-like double entendre effects of poetic lines. Often more like painting dramatic portraits than delivering linear narrative streets and signposts, it seems the poetry of Carax’s work rests in the irreverence for “real time.” It features instead the fixated gaze of a poet on the detail of a foot’s drift over tiled floor mid-step, close-ups of eyelashes meeting and parting above creamy cheekbones, or a man’s wiry body in only a pair of pants sprinting through bars of light and shadow outside any context of destination or objective. I began to think how qualities of a poem can be achieved in film—the language of images extracted from words on pages in order to fashion a realm of movement and emotion that defies “the common hour,” so to speak, or the socially expected progression of time. Time be damned for the poet enraptured with noticing. The poet both must transcend and cannot escape transcending time. 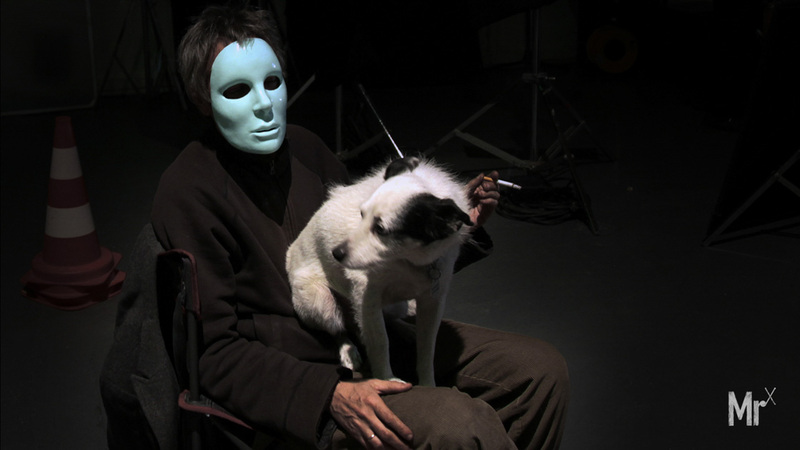 Carax himself embodies the mad artist, a man grown silent, smoking, forearms lifted and fingers lilting over an evolving landscape only the mechanism behind his eyes could detect. I can’t say I enjoyed the film, if one must simplify the experience to a directional choice of thumb; however, I can say that I appreciated it in the way that one comes to appreciate completing a 1,000 piece puzzle or translating particular stanzas of long epic poems (both of which I aspire of course to master). When we say something outside poetry itself is “poetic,” we reach toward something cosmic and subterranean at the same time, an element of experience that swims somewhere between the nasal passages and the gut’s barometer. We reach, and the brain fishes up images to try and grab hold of what the dreaming-waking self is busy eating and breathing each moment, just below the surface. Poets: how do we wish to play with the medium of film? Filmmakers: how do we wish to strum the currents of poetry? Is one the water and the other the ripple that proves it not glass? Is one the world and the other the bowl in which it is caught, like a sky in a lake so we see it twice? 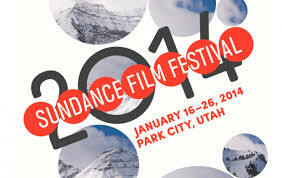 Tags: Converging Arts, film festival, hinge, Jen Marshall Lagedrost, poetry and film, poets and film, sundance. Bookmark the permalink. Will, that’s awesome. Thanks for sharing! Is this erasure poem visual experience of your design, and, whether it is yours or an artist friend’s, what do you call it? Are there others? Thanks again for your reply.